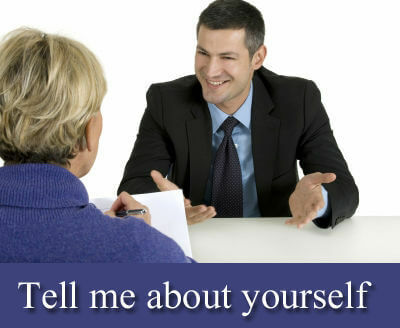 "Tell me about yourself” is a common interview question that every interviewer asks while taking interview, whether the interview is held for fresher, experienced, system analyst, content writer, nurse, doctor, engineer, etc. Let’s see how to provide the best answers to the question “Tell me something about yourself” with the help of examples provided for different streams. First of all, thank you very much for giving me this golden opportunity. Let me introduce myself, Myself Mona Choudhary. There are four members in my family; my father, mother, me and my sister. My father's name is Shyam Choudhary, he is a doctor. My mother's name is Dimple Choudhary, she is a housewife. My sister “Rina”, she is in 10th standard now. About my education & qualification - in 2012, I had completed my engineering in computer science from Anna University, Tamilnadu, and schooling from Delhi Public School, Delhi. During my Graduation period, I had done three Mainframe projects and successfully completed a training course on the Mainframe. I am excellent in planning, analyzing, designing, and developing. I am interested to work as a Mainframe web developer and my goal is to get good opportunities on the same profile in your company. I have done many successful Mainframe projects during college. Even though, I have just started my career and don't have any working experience, but once I get the opportunity, I will prove myself. My hobbies are Internet browsing & searching for helpful applications, watching news & discovery channel, playing Indoor games, listening old songs, art & design. My strengths are self-confidence & dedication, positive attitude, and hard work. My weakness is my soft nature that sometime harms me. Thanks for giving me this golden opportunity. Key skills: Good knowledge of Core Java, C/C++, Android API framework (framework like; Activity Manager, Resource Manager, Location Manager and Notification Manager) & SDK, Android OS, Web Services, SOAP, and Android Studio. First of all, many thanks for calling me and giving me this golden opportunity to introduce myself in front of you. Myself Soon Jha from Mumbai, born and brought-up in this great city. I love my family very much, my father is in the Indian Navy, my mother is a housewife, earlier, she was working with in an MNC, but because of me, my brother and sister, she left the job. My brother and sister both are studying in 10th and 12th standard respectively. I have done my schooling (10th & 12th) from DAV Public School Nerul, Navi Mumbai, and Engineering (computer science) from Indian Institute of Technology, Powai, Mumbai. Computer science was my favorite subject, that’s why; in 10th, 12th and Engineering, i scored good marks in computer programming as compared to other subjects. When I was in the Engineering College, i had made up my mind to become a mobile app developer. In my college, I have done many mobile application development projects successfully. Also, I have done certification courses on Android™ Application Development & Programming, App Development tools and Device Security. I am skilled in planning, designing, developing, implementing, debugging and troubleshooting mobile applications using Android. Also, I am good in object oriented programming, Core Java, C++, Android framework & SDK, and Android Studio. My strengths are; laborious, positive attitude, punctuality, and strong in management skills. My weakness is, i can’t sit in one place for longer periods. My hobbies are; watching T.V, listening old & pop songs, playing video games & in-door games, and eating Chinese food. That’s all about me. Thanks again for giving me this golden chance. Key skills: Good communication & computer skills, little bit knowledge of LOS, and candidate should be physically fit and free to travel. First of all, many, many thanks, it’s a great pleasure for me to introduce myself. Myself Mohan Singh from Mumbai, I have been living in this city since 2014, but I wasborn and brought-up in Agra, and I completed my 10th, 12th and Graduation from there only. 10th and 12th from G. D. Goenka Public School and Graduation (B.E) from M.M.M (Madan Mohan Malviya ) college, Agra. I have very good academic scores in School and College. In 10th, I have scored 98% and got the first highest position in the school. In 12th, I have scored 92% and got the third highest position in the school. Also, in Graduation I scored 85%. About my hobbies; my hobbies are playing cricket, chess, football, video games, reading novels, business magazines, & emotional stories, and doing research on helpful and interesting software tools. About my family; my father is a retired person, my mother is a housewife, and I have one more brother, he is in 10th standard. Thus right now, no one is earning in my family, it’s really important for me to get this job. I am a fresher, but I am very hard working person and passionate to gain more and more knowledge. Whatever task I take in my hand, I do with full passion and concentration, and try to complete the task online. My strengths are my quality; my interpersonal skills make me comfortable with others and my politeness makes me strong in all circumstances. My weakness is my emotional nature which lands me in trouble sometime. My goal is to work with the a good telecom company like yours by sharing my knowledge that can be helpful for the company growth and development. Also, I want to become a very reputed person of the company. Key skills: Candidate should be having knowledge of load balancing system, grounding, Power system studies, yard layouts, and AC/DC power system. Myself Laxman Sharma from Pune. I have three members in my family; me, my mother and my father. My father is a Electrical engineer and my mother is a doctor. In 2014, I have completed my engineering in Electrical and Electronics from PSG, Coimbatore. One of the best college in India which provides the best practice labs and training courses to understand major role and importance of electricity. As we all know, how much electricity is important everywhere in schools, colleges, house, shops, and all over industries. My aim is to get the best jobs, and best practices and knowledge in the same profile. I have scored 86% in engineering, 75% in Intermediate, and 62% in 10th. In engineering, I have scored highest than Intermediate and 10th just because of my favorite subjects. I have just started my career and i don’t have much work experience, barring a two month internship after course in ABB. I am very much interested to work for this profile, this one opportunity will provide me a chance to prove myself. My hobbies are; singing and listening music, outing, swimming, watching news channels and playing with different instruments. My self-motivation is my biggest strength and emotional nature is my weakness. That’s all about me. Thank again for calling me here and giving me this wonderful opportunity.